Welcome to another installment of our “Trail Town” series of articles. These articles feature a trail running town that you should put on your bucket list of places to visit! This month we feature Roanoke in Virginia’s Blue Ridge with a population of 99,000, comprised of many smaller communities including Carvins Cove, Mill Mountain Park, McAfee Knob, Dragon’s Tooth and Tinker Mountain. Roanoke, in Virginia’s Blue Ridge, has a reputation as a top mountain town for good reason. Roanoke has a central East Coast location in the heart of the Blue Ridge Mountains and is split by the Roanoke River. With more than 1,000 miles of trail, there’s something for almost every runner, whether you want to climb mountains that end with 360-degree panoramas, follow a river-side trail, or tackle a more technical run. It’s no wonder that Roanoke has been named a top mountain town by Blue Ridge Outdoors Magazine three times! Roanoke, with a population of 99,000, has everything that a mountain-lover needs for a solid run, and then it’s just a quick jaunt back downtown for a hopping music scene, taps flowing with craft brews, and farm-to-table food options to fuel your next adventure. And the best part? Thanks to four moderate seasons, Roanoke is a year-round trail running destination. While Roanoke is well-known for stellar mountain biking and hiking, those same natural assets make great running trails as well. And Roanoke has plenty of them. Some of the most popular trail runs include several routes at Mill Mountain Park, more technical trails around Carvins Cove, and more strenuous runs along the Appalachian Trail, including almost 4 miles up to the iconic McAfee Knob. Carvins Cove: With a wide variety of terrain, there’s more than 60 miles of trail at Carvins Cove Nature Reserve, the second largest municipal park in the nation. One of the most popular running options is along the Happy Valley trail, a fire road that connects all the lower trails. Out and back, the trail is about 16 miles and there’s plenty of great scenery. Explore Park: Along the Blue Ridge Parkway, Explore Park’s 1,100 acres includes 14 miles of trails that weave along the Roanoke River. The trails are more moderate in nature and don’t include some of the extreme climbs that other more mountainous routes offer. Mill Mountain: Run trails just 5 minutes from downtown Roanoke. (There are more than 15 miles of running trails so close you can actually run or bike to them.) Run the Star Trail (3.4 miles), Ridgeline Trail (1.2 miles), Woodthrush Trail (1.6 miles), or Chestnut Ridge (5.6 mile figure eight) individually or looped together for higher mileage. Make sure to stop at the top of Mill Mountain and snap a selfie in front of the world’s largest freestanding illuminated man-made star. Trail running on the Appalachain Trail in the Blue Ridge Mountains. Roanoke is easily accessible by plane through the Roanoke-Blacksburg Regional Airport, by car on Interstate-81 and the Blue Ridge Parkway, or by train on Amtrak’s Northeast Regional route. Many visitors come to us on foot as through-hikers along the iconic Appalachian Trail, which runs from Georgia to Maine. If you haven’t visited, now’s the time to come discover for yourself why Roanoke in Virginia’s Blue Ridge was named “Best Trail Town” by Blue Ridge Outdoors Magazine! Roanoke as a craft beer hub – beer, bikes, and brains! Roanoke is known as an outdoor destination that is welcoming to adventure seekers of all levels and types. Novice to expert trail runners will have no problem finding their own adventure in this outdoor-loving community and can find various events, races, and festivals throughout the year. Groups such as the Appalachian Trail Conservancy and IMBA, plus a crew of local volunteers manage, build trails and keep our outdoor assets thriving for generations to come. For some, the best part of finishing an early morning run is finishing with a jolt of coffee. Sweet Donkey Coffee is at the base of Mill Mountain; sit by the fire on a cool morning or out on the patio while the sun is shining. Find a delicious and energizing breakfast at On The Rise Bakery & Café – but don’t miss a chance to experience the sipping chocolate at European-Style chocolate lounge Altus Chocolate, which also serves a variety of coffee, espresso, and tea. The restaurants in Roanoke boast a special kind of flavor, and the culture is reflected in the outstanding cuisine. Find great food, drinks and live music at Martin’s Downtown Bar & Grill and Blue 5 Restaurant, voted best beer bar in Virginia by readers of Craft Beer Magazine. For a top-notch dining experience, River and Rail is known for both specialty craft cocktails and fresh, locally-sourced dining options by Executive Chef Aaron Deal. Roanoke is home to a number of trail running events that take full advantage of its natural assets. Explore Your Limits 5/10k (March 3, 2018) started in 2005 as the first annual trail run in the Roanoke Valley. 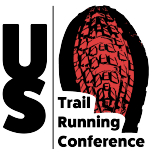 Due to the 5k being a great race for people getting into trail running and the challenge of the 10k it has grown to be the largest event in the Roanoke Non Ultra Trail Series. Mill Mountain Mayhem 10k (April 7) takes runners along the Mill Mountain Star Trail; it’s two loops climbing a tough mountain trail. Conquer the Cove 25k and Marathon (June 3) at Carvins Cove includes 3,500 feet of elevation gain for the marathon with nearly 1,000 feet of that coming at Mile 18, followed by a nice downhill to the finish. Into the Darkness Night Trail Run (Oct. 27) includes 4 miles of nighttime trail running at explore Park along IMBA-designated trails. There’s 3 miles of twisty rolling single track and another mile of grass and asphalt. 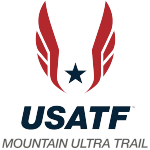 BONUS: Although not trail running, the Foot Levelers Blue Ridge Marathon (April 21), draws athletes from across the country for “America’s Toughest Road Marathon. Stick around all weekend – before and after the race – for the Down by Downtown Music Festival. Written by Roanoke Outside and Visit Virginia’s Blue Ridge (Visit VBR). Photos by Roanoke Outside and Tabitha Walker.